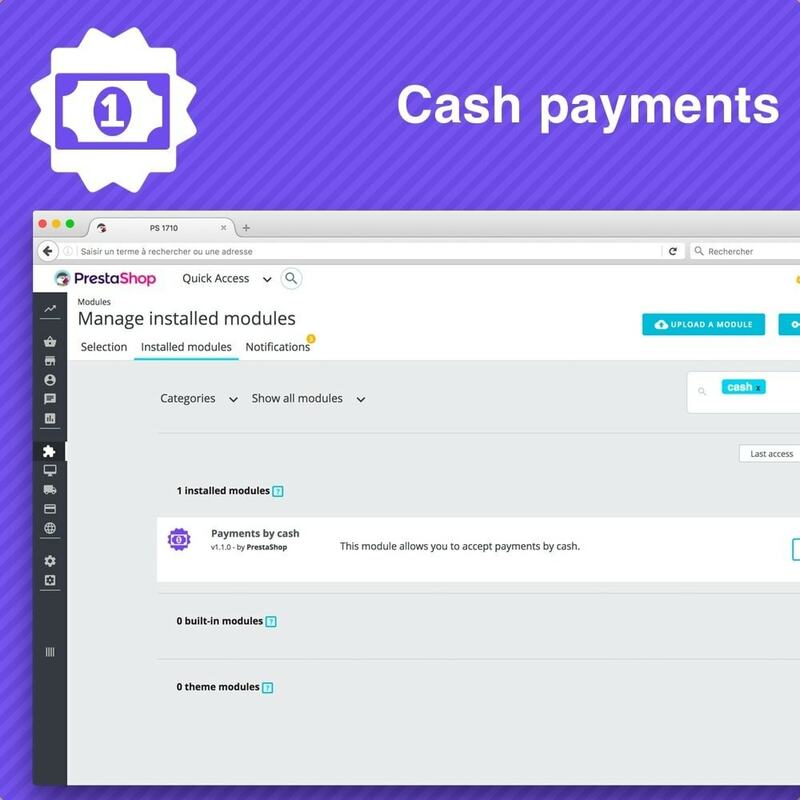 Add a module for accept cash payment on your Prestashop installation. 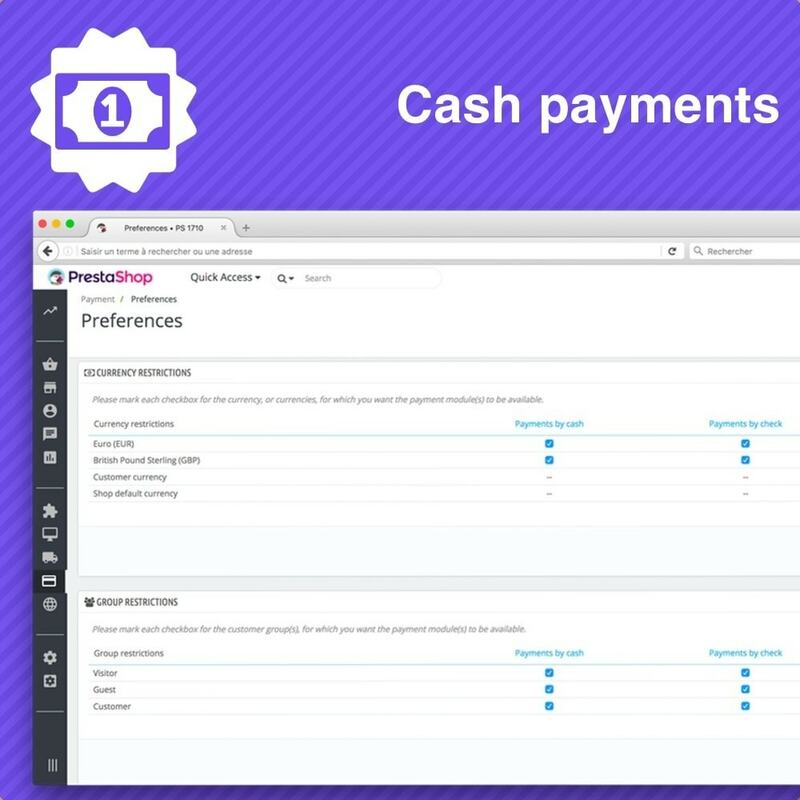 Really easy if you use Prestashop as your point of sale software. Accept cash payment when your client pass a new order. This module totally fits like a classical payment module. You can configure it from your Prestashop back-office, for having the choice on which country and which money you accept. AtosSips Worldline es una solución de pago a distancia creada para garantizar un alto nivel de seguridad y permitir a los clientes explotar sus aplicaciones en todos los canales de venta a distancia. PayLib y 3D Secure incluido. Pay in Store is a payment module which allows your customers to come to your store and pay. 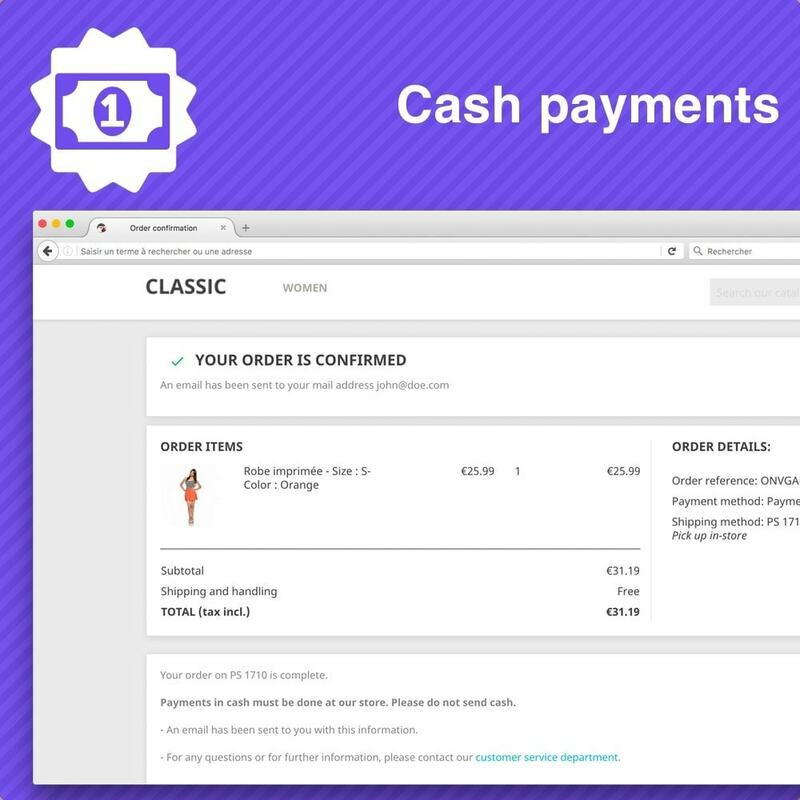 They can complete the checkout online by choosing the payment method "Pay in Store". 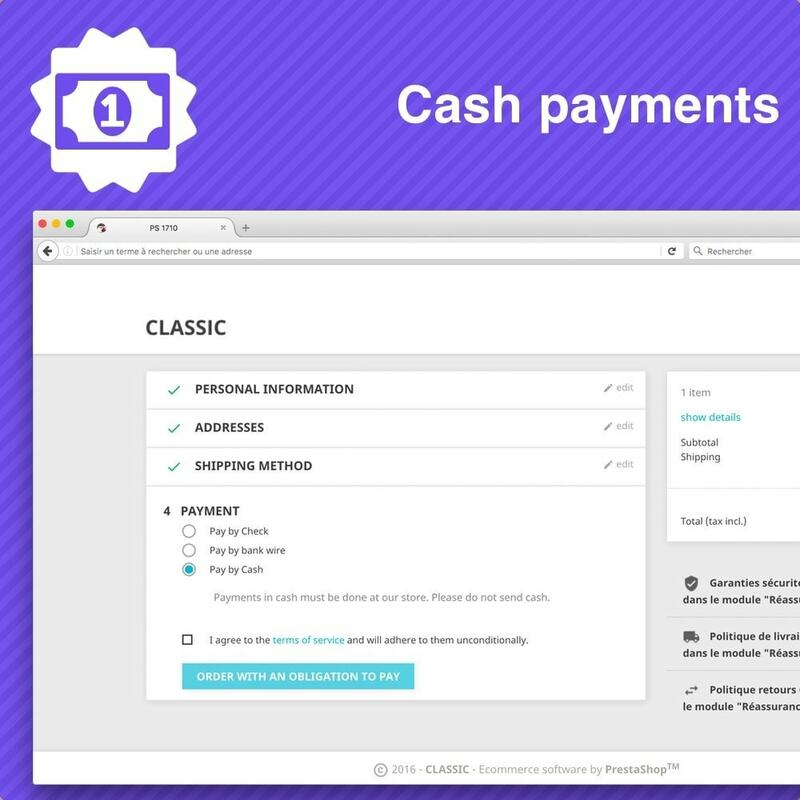 The client can choose cash as means of payment. A message appears before the order is valid for remembered your clients that the cash payment should not be send by mail, but give it personnally. This module allows you to change easily the carrier associated with an order, the total weight of the order and the shipping costs, directly from your back-office. Discover the very first module allowing you to post on your site tutorials step by step.